The population in Hong Kong in 1945 was about 600,000, and it grew up to 2 million in 1950. Today’s population of Hong Kong is estimated at about 7.4 million. Hong Kong is fourth world’s most densely populated area, with 6,571 people per km² (17,019 per mi²). More densely populated areas are only Macau, Monaco, and Singapore. Present ethnic groups are Chinese (93.1%), Indonesian (1.9%), Filipino (1.9%) and other (3%). Although Hong Kong was a British colony and under British control until 1997, less than 1% of the population is of European origin. Most of the Chinese in Hong Kong are descendants of Chinese from nearby counties in mainland China. The immigration started when World War II was finished. That is why the increase of the population from 1945 to 1950 is so high. Official languages are both Cantonese Chinese (used by 89.5% of the population in everyday life) and English (3.5%) while varieties of dialects are also present among different minorities, such as Mandarin Chinese (1.4%). Almost 35 percent of the Hong Kong citizens use English as a second language. 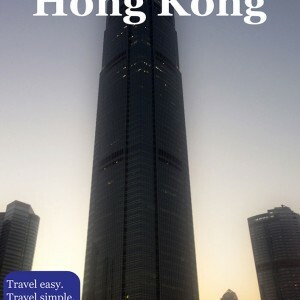 Although English is not fluently spoken by everyone in Hong Kong, people related with tourism, business and government are competent in English. Some of the schools in Hong Kong have English as the teaching language. Official and transportation signs and most menus are bilingual. Newspapers and magazines are written in both Chinese and English too. You probably would not have too many problems communicating in English, but this may change if you visit areas which are not touristic. Religious freedom is present, so in this giant city you may find Chinese folk religions (49%), Buddhists (21.3%), Taoists (14.2%), Protestants, (68%), Catholics (5%), Muslims (3.1%), Hindus (0.5%) and Sikhs (0.1%). Chinese folk religions incorporate a variety of local rituals, beliefs, philosophy, but also religious doctrines from other religions, such us Confucianism and Taoism. As British influence in Hong Kong declined, the number of Catholics also declined in a favor of the traditional religious in China.